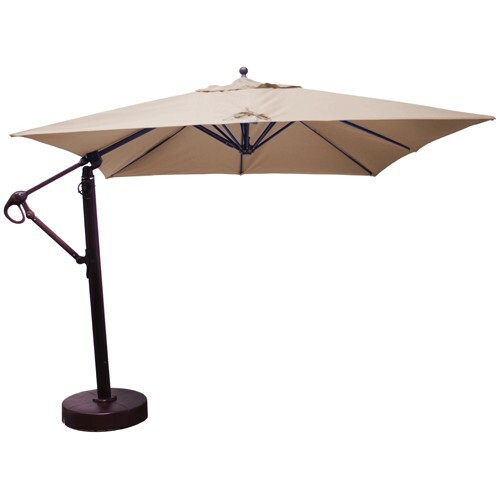 The beauty of an Offset Cantilever Umbrella is its versatility. 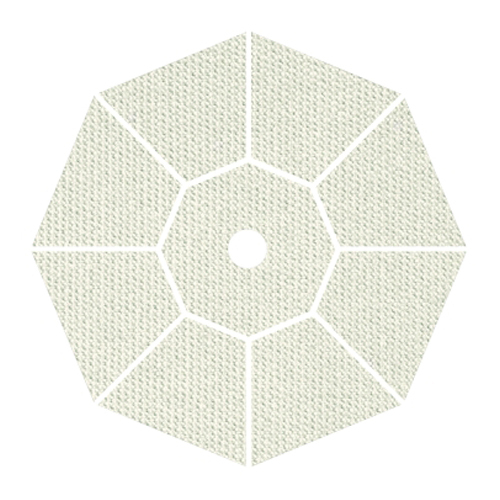 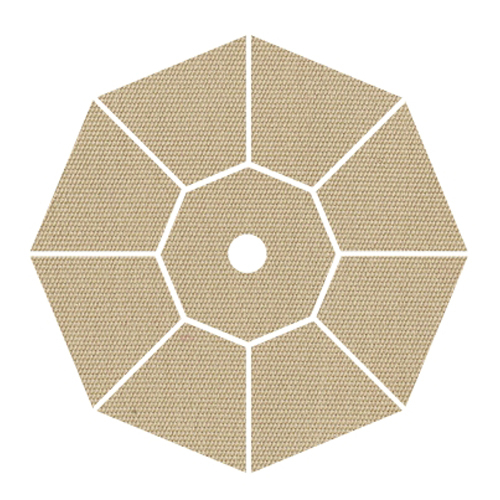 You can shade almost any table, seating area or outdoor area with an offset umbrella. 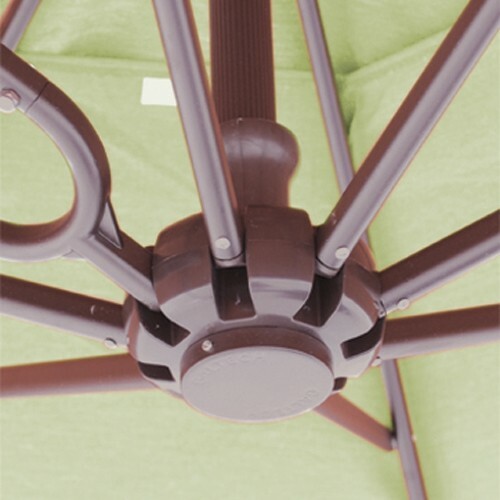 With an offset you have no center pole to ruin your view, so you can place it at table gatherings or over a pool to protect yourself from the sun. 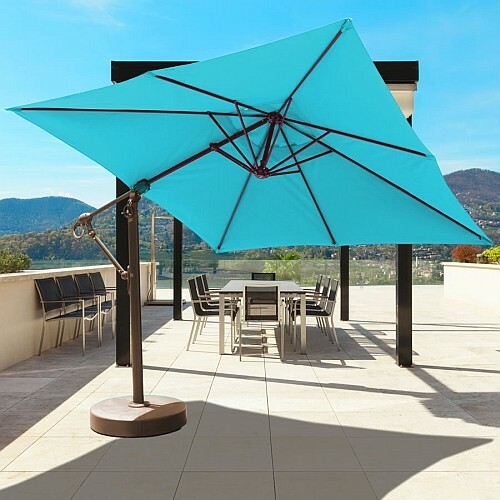 Those hard to cover lounging areas are a snap to shade with the right cantilever umbrella, and the Galtech model 897 10' X 10' offset can be just the perfect solution. 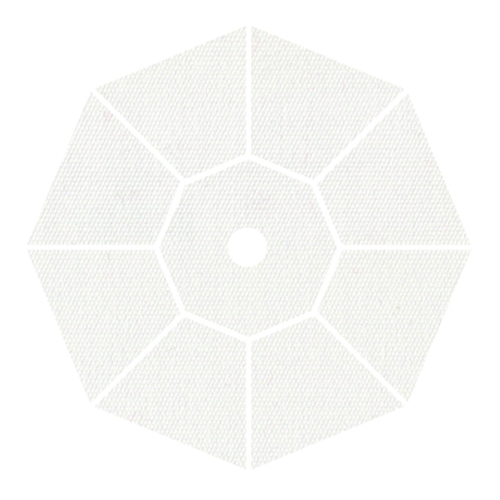 And if you think that the 10' size is too big, just hold on. 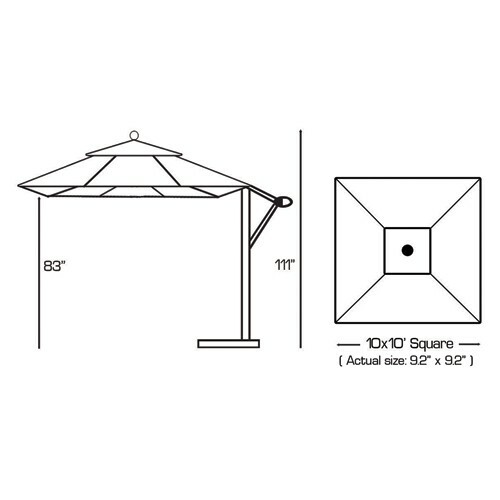 The measurement is diagonal, so the actual sides measure 9' X 2", so you can easily fit this into a smaller backyard outdoor space. 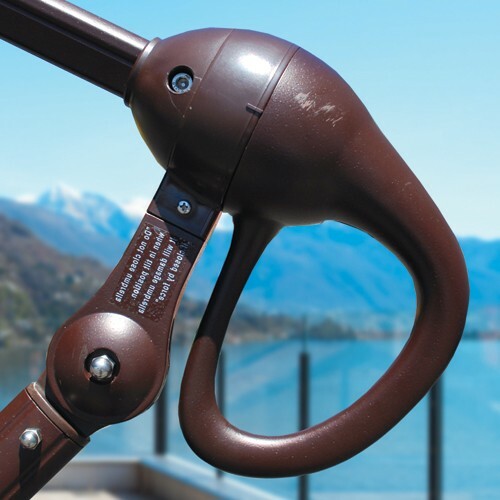 Featuring the wonderful Easy Open Lift system, this umbrella is a breeze to open and extend the cantilever arm in just one move. 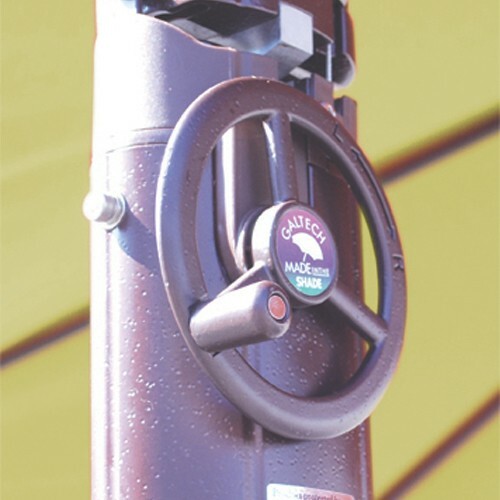 Then using the tilt wheel, you can angle the tilt of the umbrella to the left or to the right, moving your shade with the movement of the sun. 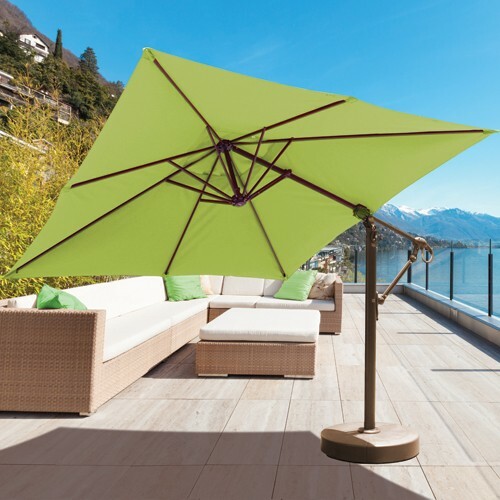 A beautiful line of Sunbrella fabrics, versatile antique bronze and classic black frame finishes, and a solid resin base that can be filled with water or sand to anchor the umbrella down makes the cantilever umbrella a wonderful choice for any outdoor space.